إن فندق Greenlane Suites بموقعه الممتاز في إبسوم هو نقطة انطلاق جيدة لنزهاتك في أوكلاند. إن موقع الفندق الاستراتيجي، الذي يبعد 4 km فقط عن مركز المدينة، يسمح للنزلاء بالوصول سريعاً وبسهولة إلى العديد من الوجهات المحلية المثيرة. يشكل هذا الفندق ملاذاَ مريحاً للاسترخاء ويمنح زواره فرصة للاستجمام والتجدد، وهو يقع على بعد خطوات من المعالم السياحية الكثيرة للمدينة كمثل: Bupa Cornwall Park Hospital, ابه اس بي شوجراوند, اسكوت هوسبيتل. 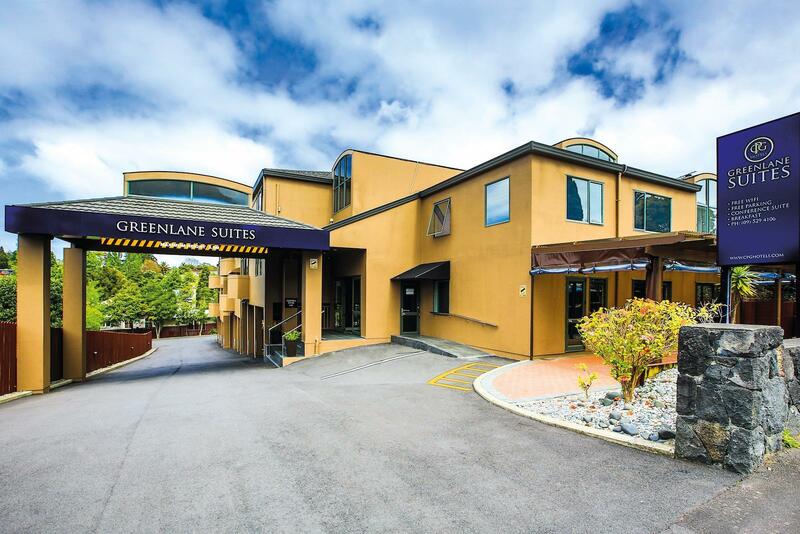 إن Greenlane Suites حريص على توفير الراحة للنزلاء، فلا يوفر الموظفون جهداً في تقديم أفضل الخدمات وضمان حسن الاستقبال. لضمان راحة ضيوفه، يقدم الفندق الخدمات التالية: واي فاي مجاني في جميع الغرف, أمن على مدار 24 ساعة, خدمة التنظيف يوميًا, خدمة غسيل ذاتية, مجهز لذوي الإحتياجات الخاصة . استمتع بوسائل الراحة الراقية في الغرف أثناء إقامتك هنا. بعض الغرف تتضمن شاي مجاني, مناشف, سجاد, قهوة فورية مجانية, غرفة معيشة منفصلة لمساعدتك على استعادة طاقتك بعد يوم طويل. كما أن مجموعة الخدمات الواسعة الموجودة في الفندق لضمان راحتك تترك لك الكثير من الخيارات لقضاء وقتك أثناء فترة إقامتك. مهما كانت دواعي سفرك فإن Greenlane Suites هو خيار ممتاز لإقامتك في أوكلاند. Location is ok that Airport shuttle could bring us here, and near to a very large supermarket. But there is no restaurant nearby therefore we have to take our meal in the KFC. The staff is very kind. Room is not larger but has adequate facilities. The room was big and clean, staff was very friendly. Breakfast was limited but fresh. WiFi was free of charge but very weak! The staff were absolutely fantastic. Unfortunately to noisy. Woken up when people having showers or banging doors. Obviously not insulated. Otherwise the place is fantastic. We had a great stay at this property. Was our third visit. Rooms were spacious and location close to supermarket and some food outlets. Overall very good! 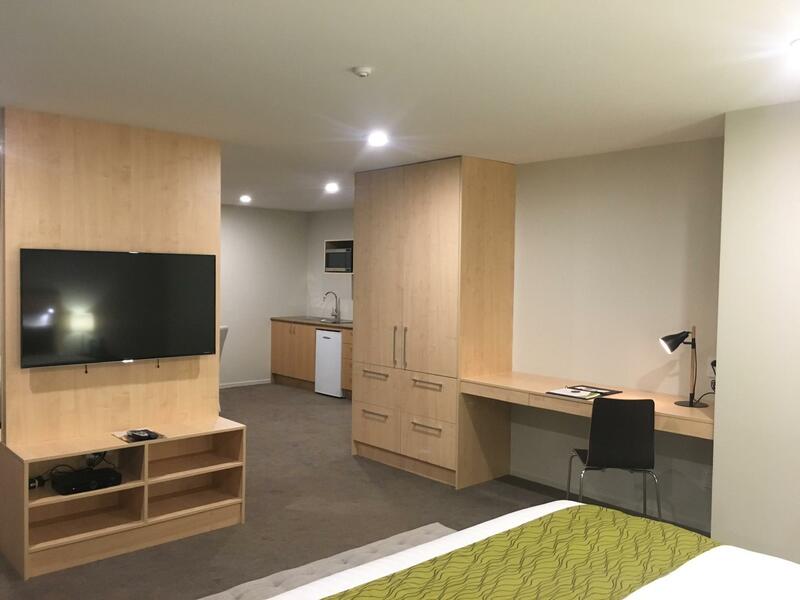 Very spacious room with a living room, comfortable and clean place to stay... Staff is nice and helpfull, free parking, and it's about 600 m walk to Queenstown city center... The walk back from the city to this hotel is quite step, but it's acceptable. Cons - There was a strange smell in the stairwell leading to the room. - Staff insisted for credit card to be 'charged' for incidentals. Refuses to accept cash deposits. - Did not replenished the toilet paper. - Shower cubicle was choked. Pros - Big and spacious room. - Big, comfortable and spacious bed. - Ample parking. Terrific staff helpful and friendly amazing breakfast. Loved this hotel. Great value with the hot breakfast being the highlight! Loved the spinach they serve and the eggs were phenomenal! Great staff as well! 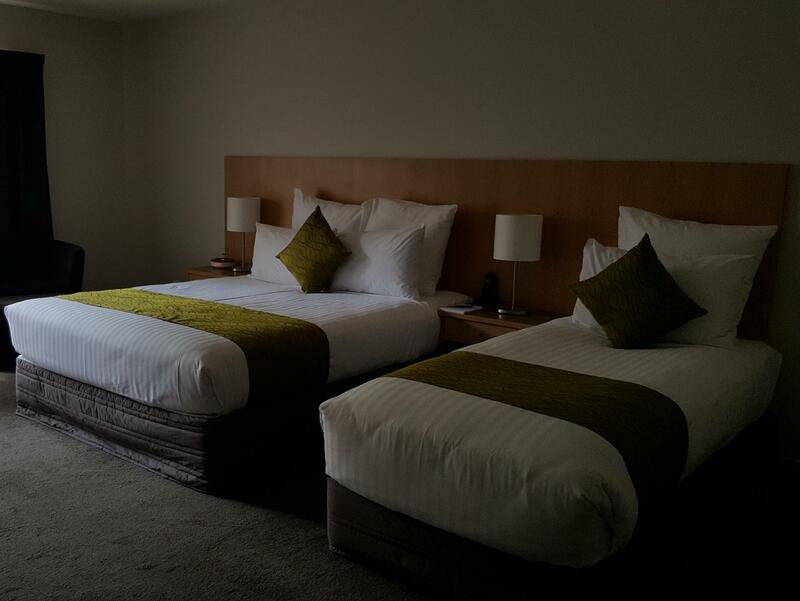 The hallways were very heavily scented and the room had a slight body odour smell to it which cleared right away with the window open but overall it was wonderful and we would stay here again if we go back to Auckland. Buffet breakfast was great. Free parking on site. The bed was very comfortable. Surprisingly, because of the location on a main arterial route, it was very quiet, and the room was nice and dark. This has never ever been the case in any motel/hotel I've ever stayed in. So top marks for a restful night. Room was very big and clean. 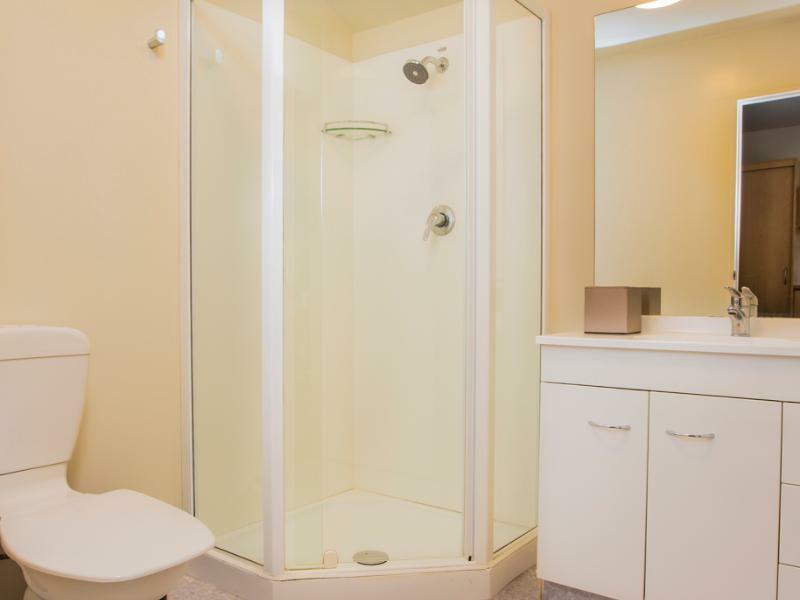 The only one thing that would have been perfect would have been pressure of the shower. Surprising was a bit weak. Room large, bed good, bathroom good Sky TV , kitchenette , wifi, and other utilities work well. Reception friendly and happy to help BUT made me pack up to check out when I had one extra night claiming that fully booked and that other guest couldn't stay in identical room next door - and then having me stay in original room after I'd packed up and headed out for some hours. So they don't think beyond the computer. Cleaning also hit and miss not even happening one day but so helpful and polite I feel that's being a bit picky. Was tricky to find as the sat bag took us to great south road in Auckland - which was a row of shops, instead of great south road in Epsom in Auckland..... I'm sure many people make that same mistake. The hotel was in easy location for what we needed, close to a beautiful park. Thoroughly pleased with the high standards in the hotel. Absolutely if we need to go to Auckland again we would book this hotel again! This one is now on our preferred suppliers list. Stayed in King Suite - massive room with hob, microwave, toaster and all utensils and crockery. Huge tv with loads of channels but best part of this place is the staff. Genuine warm welcome and speedy check in as well as cheerful goodbye and fast checkout. Recommended.